Barbie display at Toys “R” Us in Okemos, Michigan. As the holiday season rolls around, many parents and grandparents are heading to toy stores to fill those spots under the tree. One toy that seems to always find a place on Christmas lists is Barbie. But recently, Barbie has changed its look a little bit. 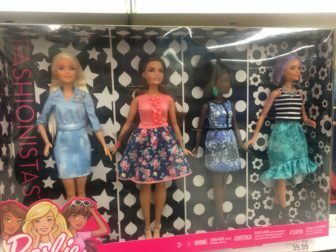 In 2016, Mattel released a new line of Barbies that features dolls with several different skin tones and body types alongside the typical blonde toy. According to Mattel, the doll will now come in four different body types and seven skin tones, with 22 eye colors and 24 hairstyles. “I think (the change has) been gradually moving along, I think maybe in the last three years you’ve seen it a little bit more you know with Barbie in particular and with what kids want, and what they want their toys to do,” Flemington said. Barbie has often been criticized for its unrealistic proportions and beauty standards it has put on young girls. However, shopper Amy Feinaur says she has seen that change since she was a young girl. Feinaur says in today’s society it’s essential for young girls to have that inclusivity of different body types. In November, Mattel announced that they would be releasing their first hijab-wearing barbie modeled after Olympic fencer Ibtihaj Muhammad. Flemington says this representation for different types of nationalities is important. “Barbie is a classic toy, so I think even more so to see that and to know and to incorporate that it is all nationalities, ethnicities – it’s everyone that has endless opportunities to explore who they want to be,” she said. 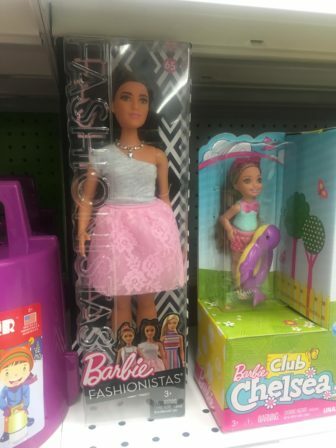 However, while the toy company has made the efforts to nix the unrealistic body standards, shopper Angela Hour says it just might be a little too late to change the perception of this iconic image. 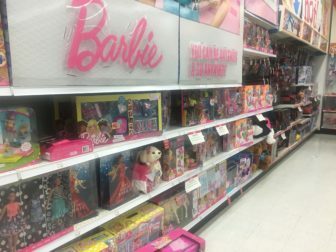 Whether it has worked to create an inclusive image or not, Flemington says Mattel’s ability to change with the times and grow the brand of Barbie is the reason behind its longevity. Beauty and fashion “rules”: More hurtful than helpful? What happens when we apply a rule to one’s personal appearance? Since the start of the beauty and fashion industry, there have always been several “rules” put into fruition. Seeing yourself is more than what you see on the outside, it's what goes into making your body healthy, happy and beautiful in your own eyes. The Spartan Newsroom explores the issue of body image, including eating disorders, sexuality, beauty/fashion industry. social media and more as we explore how people perceive themselves.